Last month, the Samsung Galaxy Mega 2 kicked off in Malaysia, though the phone is yet to be officially announced by the company it was listed for purchase by an online retailer store. There have been many rumours about the phablet ofcourse, some suggest it may be the first phone to be powered by a 64-bit processor and runs to Android L out-of-the-box. However, more details about the phablet has been revealed the firm itself, the Galaxy Mega 2 is listed on Samsung Thailand website without pricing and availability details. According to the listing, the Galaxy Mega 2 (SM-G750F) features a 6-inch TFT display with a HD resolution of 720x1280 pixel. The phablet offers voice calling functionality and runs Android 4.4 KitKat out-of-the-box. It is powered by a quad-core processor (unknown chipset), clocked at 1.5GHz alongside with 2GB of RAM. On its rear is an 8-megapixel autofocus camera with a LED flash, and it also houses a 2.1-megapixel front-facing camera. The device comes with a 16GB of built-in storage that can be expanded up to 64GB via a MicroSD card. On the connectivity front, the Galaxy Mega 2 support 4G LTE and features Bluetooth, Wifi, NFC, 3G, GPS, and Micro-USB. It is backed by a 2800mAh battery. 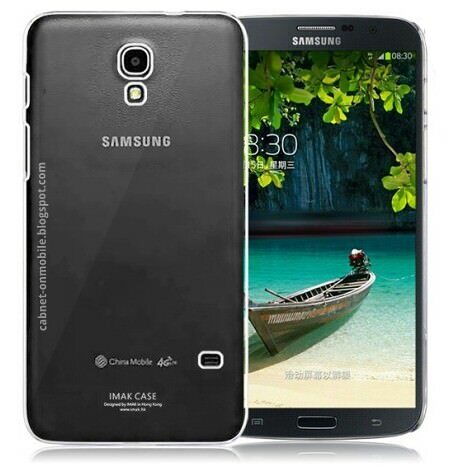 Last week, Samsung new smartphone, the Galaxy A5 specs and photos was leaked by SamMobile. However, full specs of the device has not be revealed.